THQ Nordic has shared the intro cinematic for Darksiders III, the upcoming sequel in development from Gunfire Games. Titled "Fury's Apocalypse", both the opening and the story itself delves into the story behind the four horsemen. 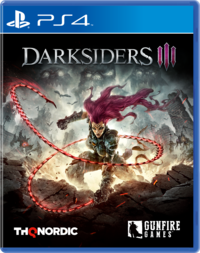 Darksiders III is scheduled to be released for the PlayStation 4, Xbox One, and PC on November 27.